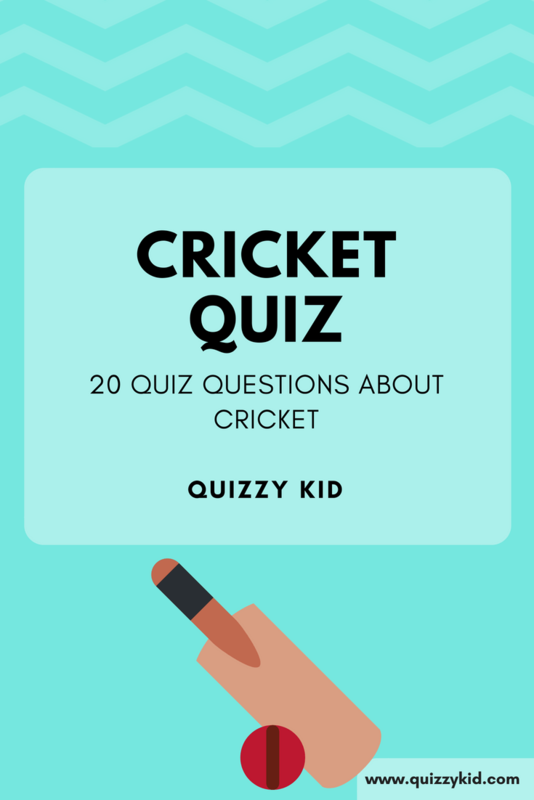 This 10 question cricket quiz for kids is perfect for people who want to know more about this popular bat and ball game. How'zat?! Looking for more Sports Quizzes? Check out our World Cup soccer quiz or our General sports quiz for more quizzy fun. Q1. How many players are there on a cricket team? Q2. What do you call the set of three wooden stumps and 2 small sticks in cricket? Q3. How do the captains usually decide which team will bat first? Q4. What color kit do Test cricket players normally wear? Q5. What is a cricket ball made of? Q6. Which country's cricket team has won the most international trophies? Q7. In what country did cricket come from? Q8. What are the different parts of the match called? Q9. What do you score in cricket: goals or runs? Q10. What is a cricket bat made of?